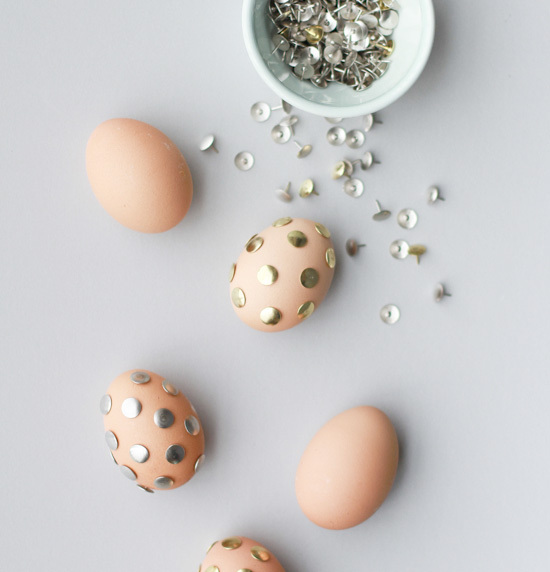 Have you seen those metallic, plastic facet eggs at Target recently? I snagged a few while I was casually strolling nearly every aisles there (do you ever do this?) a week or two ago and threw them in my cart so fast, I even had time for a DIY jig. Don’t worry – no one else was around me, except for Jeff, so it was totally appropriate to get my dance on in the Easter aisle. 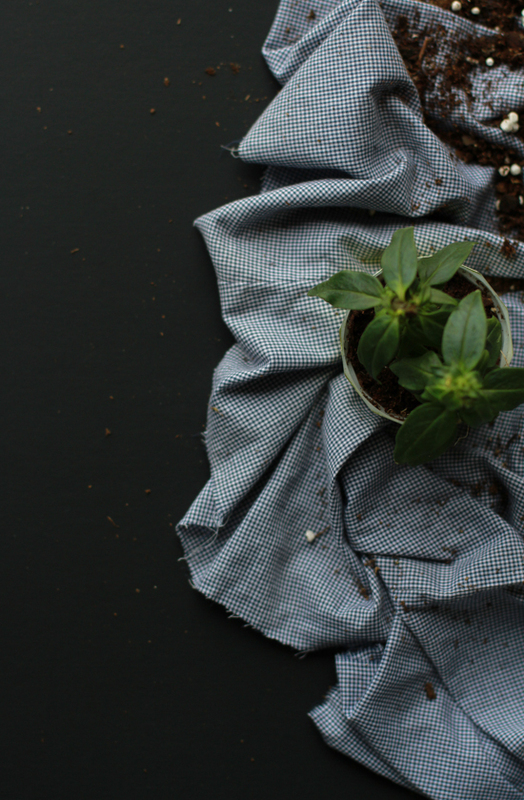 Moving on… I wanted to make something that utilized Easter items, since March 31st is less than three weeks away, but I didn’t want it to scream ‘EASTER’. 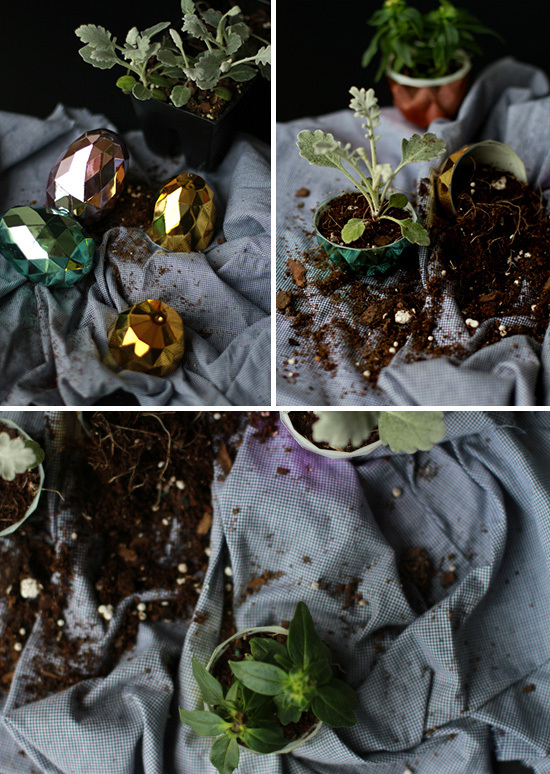 So I repurposed the plastic egg halves as miniature planters, and you can hardly tell that this wasn’t what they were originally intended for. They work perfectly. 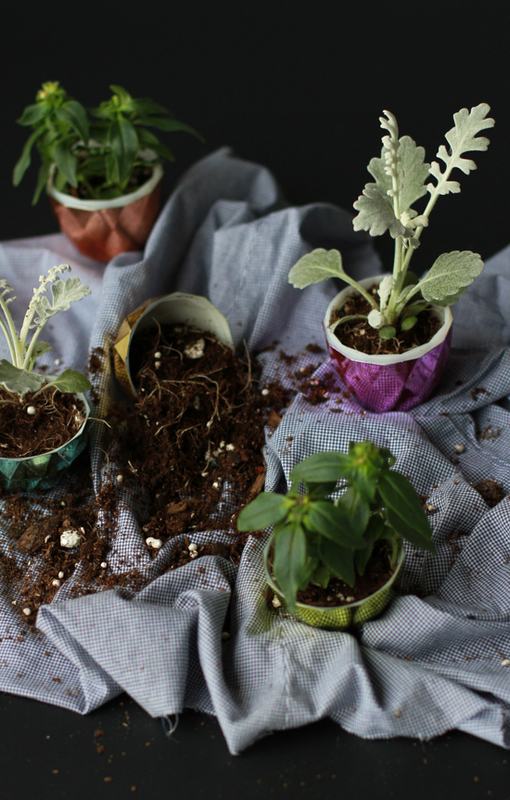 All you need to make your own set of mini, modern planters are a few small plants (I used dusty millers and snapdragons), some extra soil, and plastic Easter eggs. Note: I cannot find the eggs I used anywhere online, but they are in Target stores nationwide. I know because my friend Kelly, who lives in LA, found the exact same ones at her local Target. And I got mine in Jacksonville, FL. 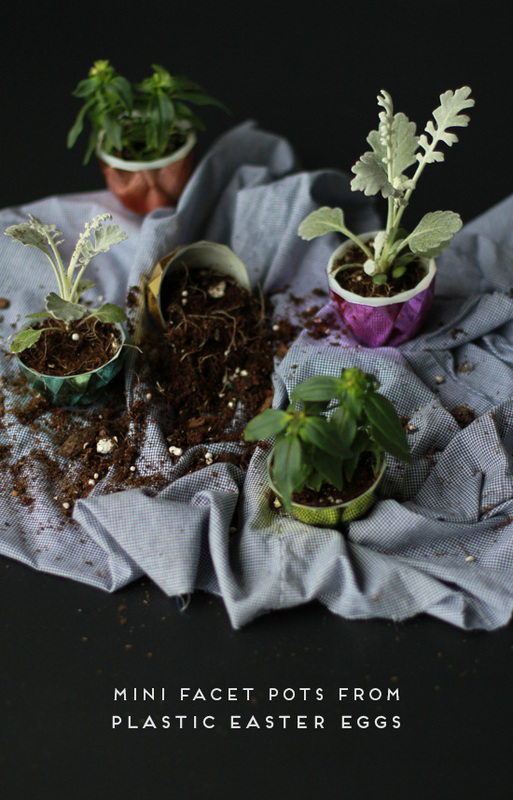 Instructions: Just open up an egg, fill each half with a little soil, add your plant, then more soil, and you’re good to go. So simple. 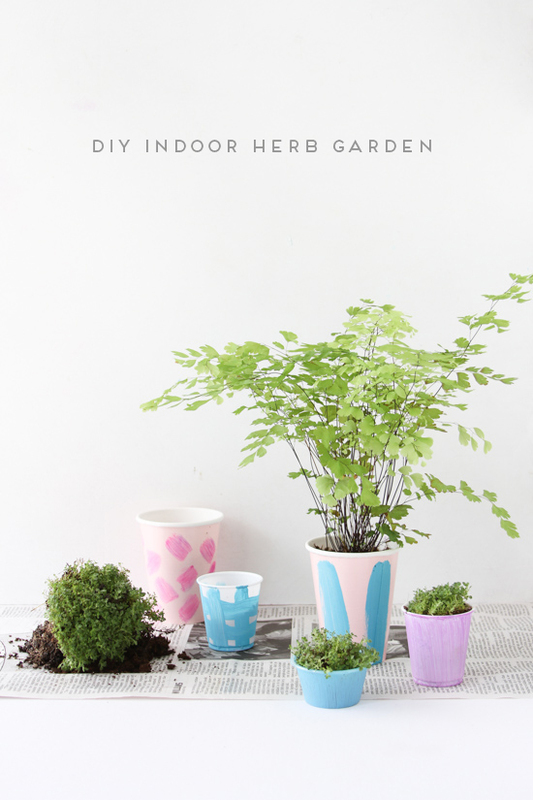 Looking for more DIY ideas? Click here. Brittni! These are fantastic. 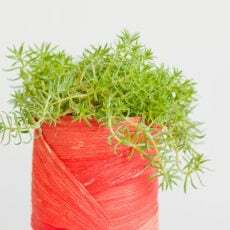 Just like your goal, you captured the bright cheerfulness of Easter without screaming it. I need to put mine to use! Thanks Kelly! Let me know what you decide to do with yours. I have a few extras that I could put to use. It’s going to be a full on dance party when I get to LA! agh!!! LOVE! if i had seen those faceted eggs, you bet your arse i would have grabbed them too! now i have an excuse for a target trip…. Yes! I hope you find some of these eggs Cassandra. They are kind of amazing. Wish I had bought more when I had the chance. 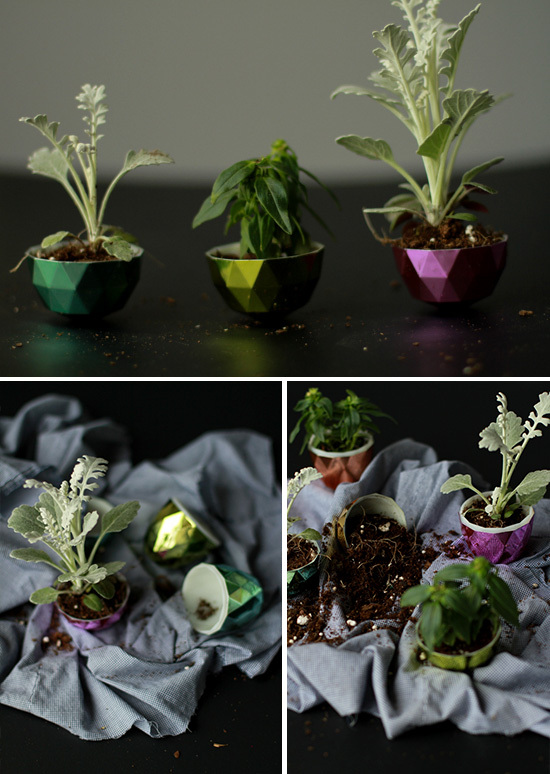 love those faceted eggs (and of course using them as mini planters – brilliant)! thanks for giving me an excuse for a target trip.